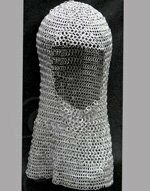 Ideal to Wear Under Coif Chainmail. 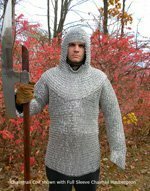 Anodized Aluminum, Flat Ring Riveted, Chain Mail Coif (one size fits all) - this item is being discontinued and is priced to sell !! 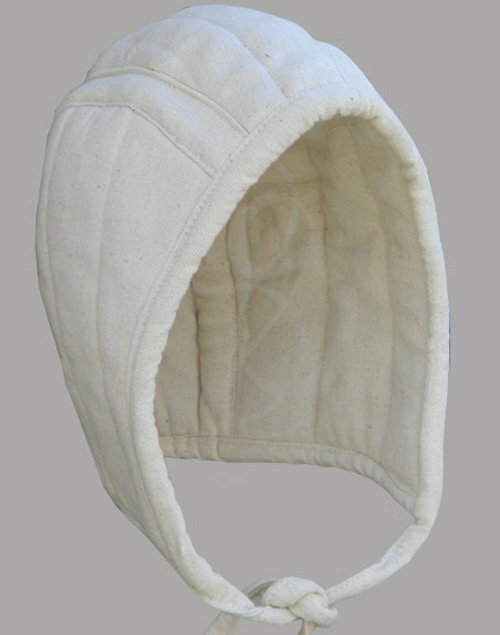 This arming cap is worn underneath a helmet or a chainmail coif in to provide full comfort and protection for the skull. It ensure a snug fit and helps absorb the shock of an impact. 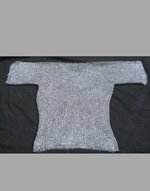 It also offers protection against the friction of a chainmail coif against the head. Weighing almost 0.3 kgs, our standard size arming cap fits almost all and is available in black & ecru color. Dry cleaning is recommended. Great addition to my collection of military equipment. My Roman helmet for poorly until I added this piece to my collection. 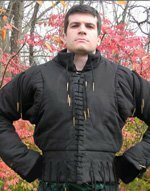 It is comfortable and seems quite durable. Purchasing it with another item, I figure it cost me about $2. I am thrilled with the cap & the deal.